The 2018 Graphic Novel Graphic Collection includes standalone titles as well as novels from the Grapic Guides series. Available until August 1, 2019. 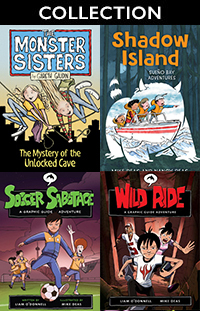 Aimed at students in grades 4 to 8, this collection includes the following 7 Orca Graphic novels.